In literary sources, there are references to a Herodian theatre and to a Hadrianic theatre. It has been suggested that the latter might have been a reconstruction of the former. 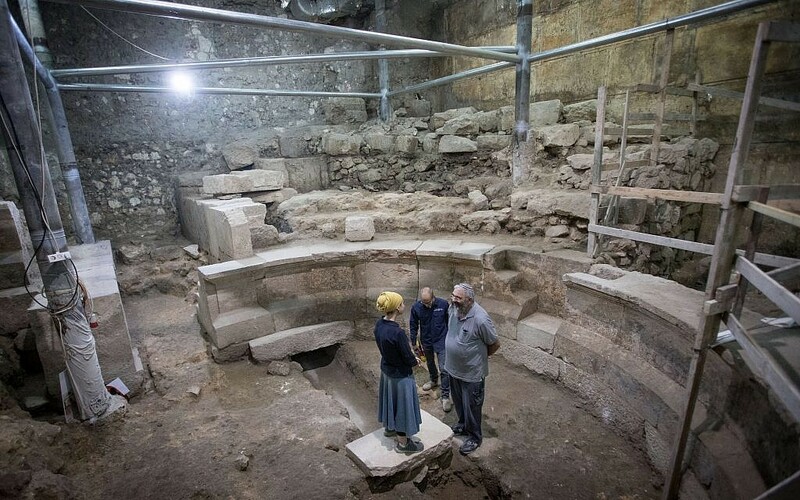 This discovery of a odeon or a bouleuterion is not likely to be either. But it does give a unique insight into the Roman city. I am waiting to read about the final dating of the site, and hope to see it for myself someday. Adoramus te Christe et benedicimus tibi quia per sanctam crucem tuam redemisti mundum.